I have been thinking about investing in a hybrid because I do quite a bit of traveling and the Toyota Prius was one of the options. 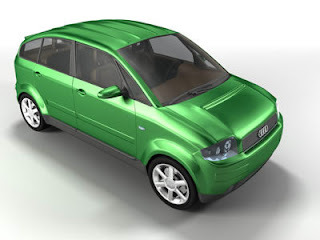 However, I just read via eGMCarTech that Audi is coming out with a more fuel-efficient A2 and will unveil it in 2009. Pretty exciting news for Audi enthusiasts – especially those of us who are following this “green” movement, eh? Of course, itâ€™s not as glamorous as the A8 that I have my heart set on, but nonetheless itâ€™s still a cute car and wonâ€™t chug-a-lug all that gas!